Danielle Hunter, Stephen Weatherly and rookie Jalyn Holmes are the Vikings’ three available defensive ends for the time being. Video (02:38) : Vikings head coach Mike Zimmer spoke to media about the upcoming game against the New York Jets and the challenges they present. 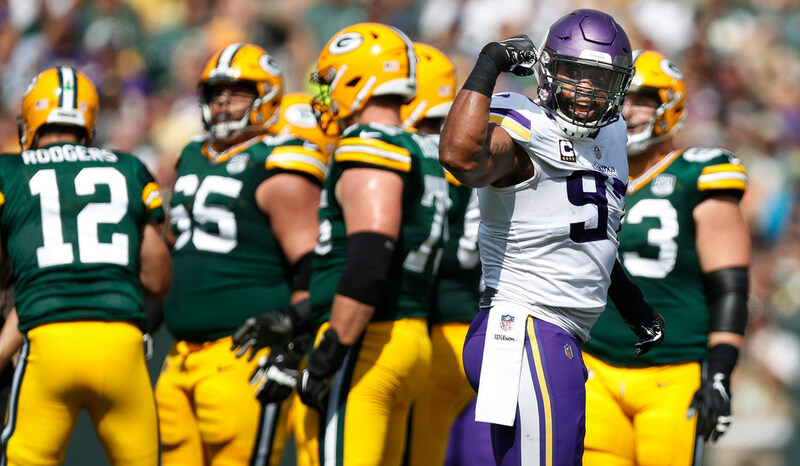 Everson Griffen will miss his fifth game this Sunday when the Vikings travel to New York to play the Jets, according to head coach Mike Zimmer. Griffen remains away from the team this week while tending to his mental health following the two police incidents on Sept. 22 and previous weeks of concern from friends and family, according to a Minnetrista police report. Danielle Hunter, Stephen Weatherly, Tashawn Bower and rookie Jalyn Holmes are the Vikings’ four available defensive ends for the time being. Griffen, 30, had appeared in 127 of 134 games into his ninth NFL season this fall before this current five-game absence to address his mental well-being.